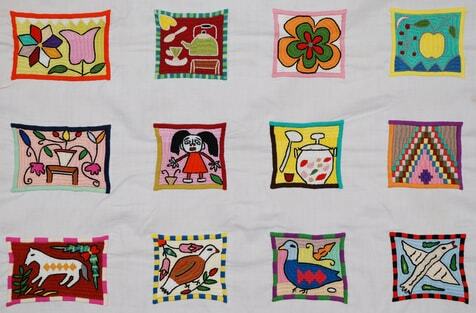 This generation of older girls (16 – 20 years) has wonderful potential as good embroiderers. 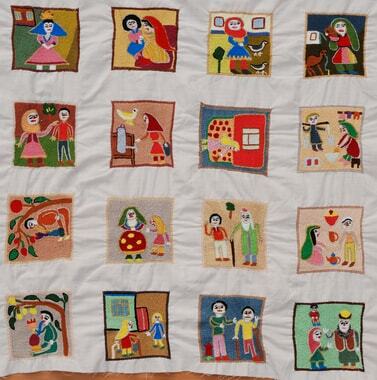 In the course of the project, they learned embroidering from their mothers, aunts, or elder sisters when hey were girls. In just a few years, they have developed their own self-confident embroidering style, even if their mothers’ influence and signs of adolescence can still be recognised. Unfortunately, they will soon be married, have children and thus lose their energy for embroidering. 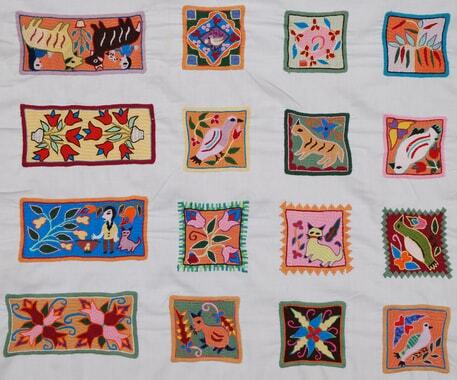 Experience from recent years has shown that the quality of embroideries is severely diminished by these changes and I have had to dismiss several women because of that, which is painful for both parties.